Travel Horizons: hotel ratings | on whom do you rely? hotel ratings | on whom do you rely? 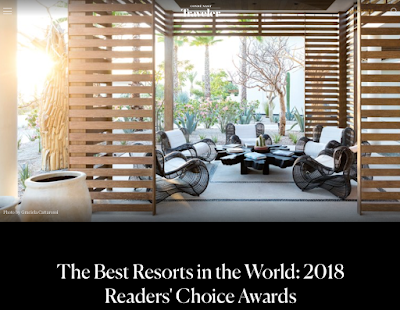 Conde Nast, a respected travel journal to which I subscribe, publishes an annual list of "the best" hotels, resorts, cruise lines, airlines, and destinations in the world. Their methodology relies on a survey of hundreds of thousands of respondents. Their list of "the best," always interesting at best but laughable at worst, raises a significant question. On whom do you rely when choosing a hotel for your stay in a destination? 1. Readers can only validly rate hotels at which they have actually stayed. 2. Travelers tend to validate their own decisions, giving good grades to hotels at which they've chosen to stay. 3. Hotel guests virtually never conduct site inspections at other hotels in the destination, so they have a limited body of impressions on which to make comparative judgments. Here are some of the stranger results of the 2018 Readers Choice Awards. New York City. The Chatwal is rated the #1 hotel in New York City. While The Chatwal may be a good choice if you want to stay right on Times Square, I wouldn't call it the best. Viceroy Central Park, rated the #6 hotel in New York City, might be a good choice if you're looking for "affordable 4-star comfort," but its room are quite compact. Inexplicably, these hotels are rated above some of the very best luxury choices in the world (much less NYC): the two Four Seasons hotels, Ritz-Carlton Central Park, Mandarin Oriental, and the Park Hyatt. Los Angeles. 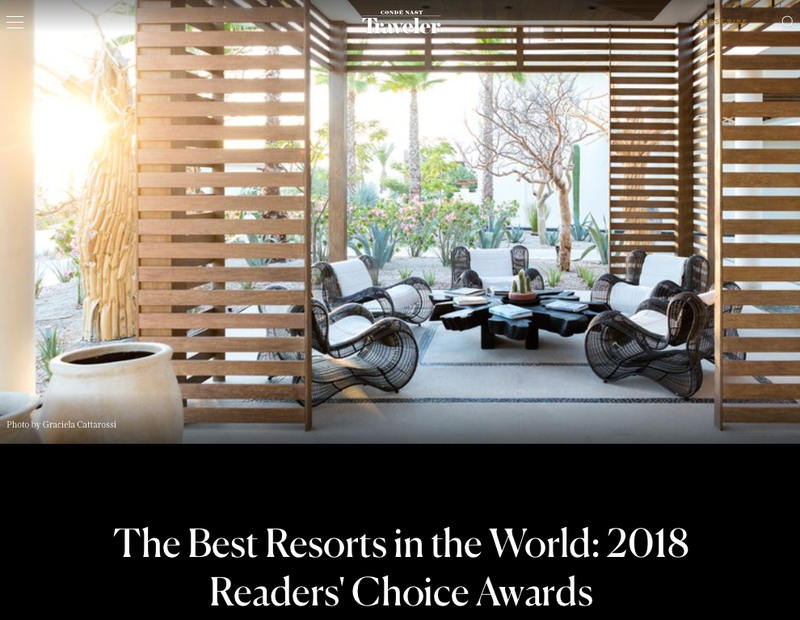 I have no argument with the Readers Choice here, the Waldorf Astoria Beverly Hills, a gorgeous new hotel that has won a lot of praise. What's inexplicable is the lowly rating of the two Dorchester Collection properties in LA — Hotel Bel-Air at #20 and Beverly Hills Hotel at #28. So many lesser properties are ranked higher than these absolute jewels. Northern California. Some good choices at the top of the charts (Auberge du Soleil at #3), but how is it possible that there are twenty-three (23) hotels ranked superior to Post Ranch Inn, a romantic, picturesque resort high above the Pacific Ocean. Southern California. Kimpton hotels (not known as a luxury brand) get #1, #2, and #3 on the list. At the same time, Santa Barbara's absolutely idyllic Belmond El Encanto, slips to #30. London. While the top hotels on CN's list do have their fans, it's inexplicable that the JW Marriott Grosvenor House (at #8) can outrank top hotels like The Goring (#36) and The Dorchester (#39), two of my favorite hotels in the world. Rome. Hotel Eden is arguably the best property in Rome, but it doesn't even make it into the list of top hotels in Rome. Florence. The WOW hotel in Florence, the Four Seasons Firenze, is ranked #9 in the city. Budapest. There are seven (7) hotels listed in Budapest (among the Central Europe Top 15). The majestic Four Seasons Gresham Palace, whose Danube View rooms are coveted for their views of the Chain Bridge, is ranked 6th of those 7. Nonsense! Hawaii - resorts. FS Maui (#2) and FS Hualalai (#4) make sense (although I'd personally flip those rankings). But how can FS Lana'i at Manele Bay, on a gorgeous beach with perhaps the most luxurious Four Seasons rooms in the world, be ranked #24? And even more puzzling ... how can Four Seasons at Koele be ranked at #13. While I love the Lodge, it has been undergoing renovations and isn't even open. Sheer craziness! The value of a luxury travel advisor is clarified by all of this. Like many of my professional colleagues, I have done site inspections at hundreds of hotels and have made side-by-side comparisons of the best luxury hotels in the world, those that have been vetted by Virtuoso and accepted for membership. There is no one "best" hotel for each traveler, but the job of your travel advisor is to help you determine your best choice, given your preferences and your budget.